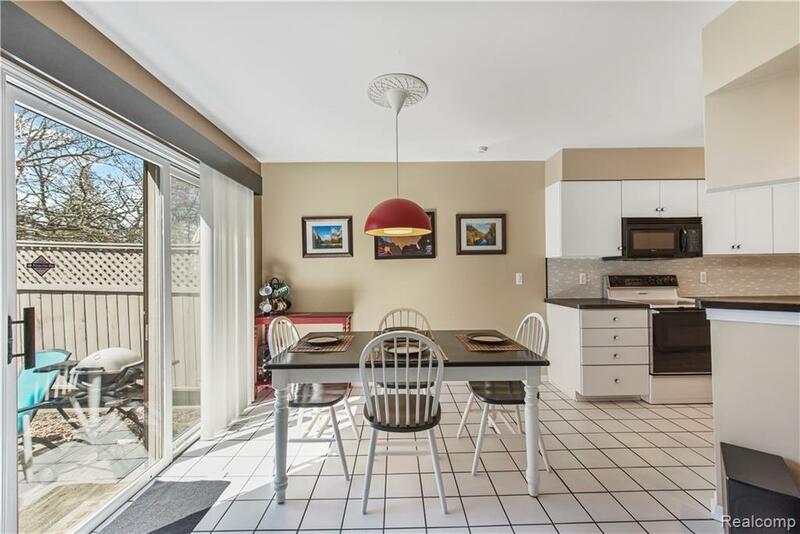 Beautiful, super-clean end-unit 2 bedroom, 3 and a half bath with attached 2 car garage. 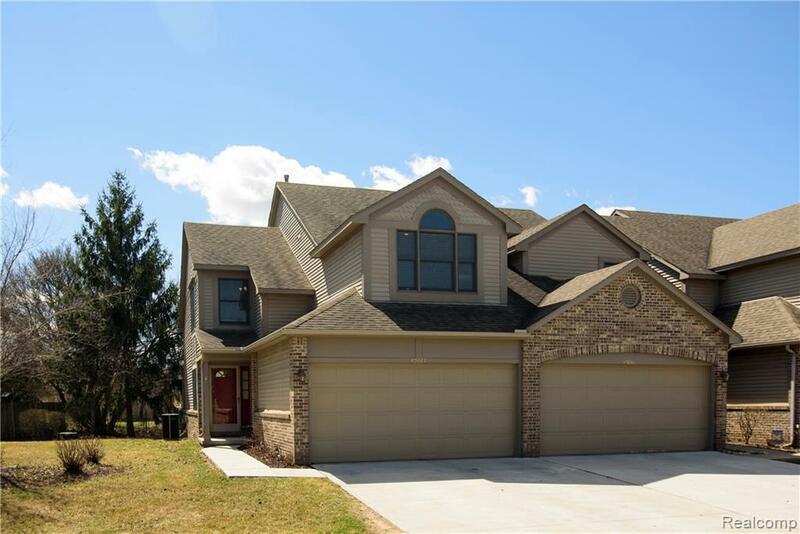 NEW: window treatments, kitchen counters with super sharp glass backsplash, under-cabinet lighting, over-sized master bath sink, ceiling fan(loft). Storage galore: 2 closets with built-ins in master bedroom, 2 closets with built-ins in 2nd bedroom and 3 large closets with built-ins in finished lower level. 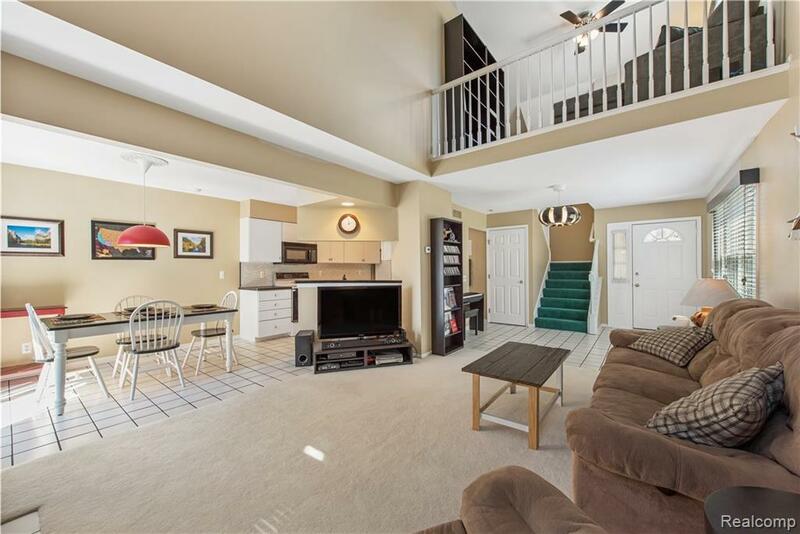 Enjoy your favorite movies with projector and speakers in finished lower level with hard-to find bonus 3rd full bath and butler's sink for convenience and entertaining. Removable carpet in lower level full bath over ceramic floor. 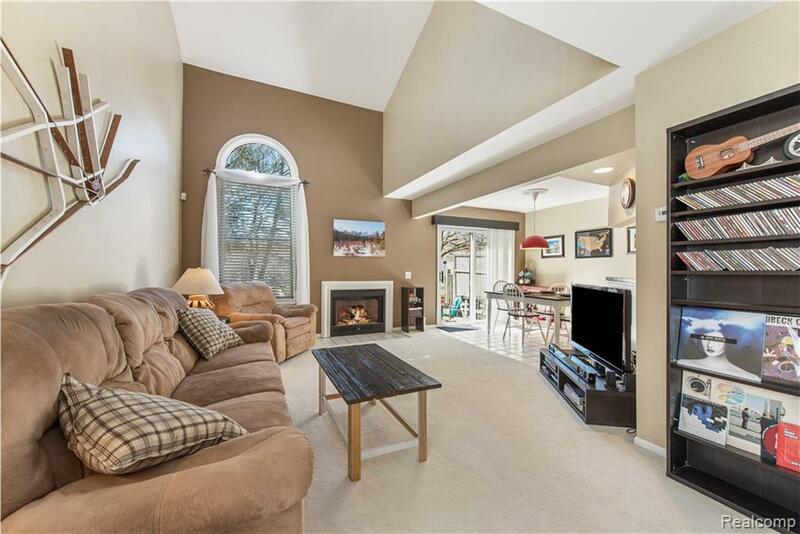 Enjoy doppled sunshine thru your beautiful palladium window in 2-story great room with gas fp overlooking lovely pines. Sit on your patio outside in your very private back yard. Generous master bedroom with cathedral ceiling and fan. Inviting 2nd bedroom includes fan/palladium window. Built-in security system. Shop lights on garage ceiling excluded.